Litigation can be expensive and time-consuming. Alternative dispute resolution, typically taking the form of mediation, can streamline the process and give the parties to a disagreement an active role in reaching a solution. In mediation, a trained, neutral third party, typically one agreed on by the parties, works with them to find common ground and craft a mutually acceptable resolution to their dispute without the rigid procedures governing litigation. Mediation gives the parties an opportunity to air their grievances and resolve them without the delays and unpredictability that can accompany litigation. Mediation can be employed before suit is filed or during the pendency of a suit. Indiana judges have found mediation so effective that many of them routinely order the parties to attempt Mediation before setting a trial date. Dan Glavin was certified as a mediator in 1994 and has mediated more than 1,000 matters, ranging from routine accident cases to complicated business succession disputes. 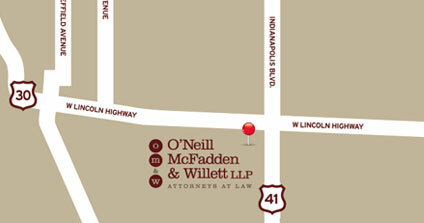 Attorney Dan Glavin and Attorney Robert J. Dignam are available to mediate your case. Bob Dignam is also a registered civil mediator. He has been appointed as a mediator by state and federal judges, and has also been selected as a mediator by many experienced attorneys. Bob has taught mediation skills and concepts in a course called Conflict Resolution at Purdue University Northwest, and has also have served as a mediation coach and trainer at the IU McKinney Law School in Indianapolis, where his “students” have included law students, fellow lawyers, and judges – including a member of the Indiana Court of Appeals. He a member of the Alternative Dispute Resolution Council of the Indiana State Bar Association. Dan and Bob are strong proponents of alternative dispute resolution, and would welcome the opportunity to serve as a mediator in your case. They are also available to serve in the role of arbitrator. 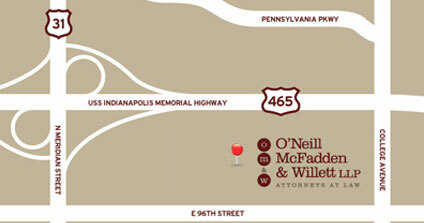 Please give Dan or Bob a call if you think your dispute could benefit from mediation or arbitration.